There are a few things that you shouldn’t deprive a woman of in life. While some may think I’m talking about jewelry, chocolate or shoes, it’s actually none of the above. As a woman who doesn’t fully function without her coffee, I can’t imagine being deprived of my favorite beverage in the morning. Aside from facing a headache without my usual intake of caffeine heaven, I also seem to function on a lower level of adrenaline and focus without it. I truly feel as if coffee gives me the extra boost I need to become the full human I need to be. As much as coffee fulfills my day, and my sanity, there have been two times in my life when I have had to go without it (the travesty, I know). However, the reasons for my stepping back have been for wonderful and life-changing circumstances. These life changes are when I became pregnant with both my son and daughter. Along with their pregnancies came a long list of what I should do versus what I absolutely cannot do (you men don’t realize how lucky you are). The biggest setback for being pregnant was limiting how much coffee I was allowed to drink. There are concerns with drinking too much caffeine when carrying a baby that are understandable. Caffeine is still a drug, even if it’s seen as quite acceptable and desirable to our society. I will share my own personal experience of having (or not having) coffee while pregnant. 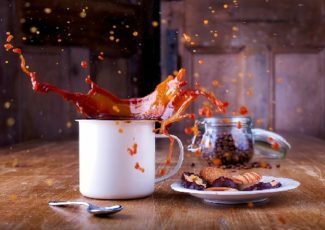 It may shed some light on the importance of scaling back on this delectable drink, even if nine months does feel like an eternity to hold back on your coffee addiction. Giving up coffee was pretty easy the first 14 weeks of my pregnancy with both of my kids. I was so sick that I couldn’t imagine eating or drinking anything without wanting to throw up. My morning sickness (more like all day sickness) made my lack of coffee seem to be least of my problems. The good news was that this horrible feeling of sickness only lasted until my second trimester. 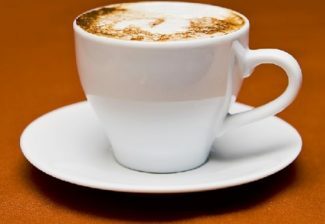 Once I entered that next trimester, I was back to myself and so was my desire to drink my wonderful coffee once again. With my first child, I gave up coffee completely despite my longing for it. It was the hardest thing to do, but my husband was really on me to make this one sacrifice during my pregnancy. “It’s only nine months” he would say to me when I wanted to whine about it. However, I sucked it up and made it through until my son was born. My pregnancy with my son was fine, but his birth was a little adventurous. He decided to show up six weeks early and spent a week in our Neonatal Intensive Care Unit (NICU). Our son was perfectly fine and has become a lively child who is now three and a half years old. After that experience, I convinced my husband to let me talk with my doctor before totally giving up coffee during my pregnancy. My husband acquiesced since coffee hadn’t led to my son’s early arrival. The next time around when I became pregnant with our daughter, I personally asked my doctor if I could have coffee. She said one cup (even two small cups) a day were fine when pregnant. I was elated and reported that back to my husband immediately following the news. While I was pretty good about that one cup, I will admit that there were times I did sneak in a second cup (don’t judge me too much). I had convinced myself that I had already sacrificed so much, that another cup of coffee wouldn’t hurt. After all, there people who smoked when pregnant, drinking a second cup of coffee wouldn’t be the worst thing I could do. But it wasn’t the coffee that proved to be the worst thing that could happen though. My husband ended up catching me having that second cup of coffee. It was almost as bad as him catching me having an affair. I felt as if I broke his trust and he was quite disappointed that I couldn’t be content with just one cup. I confirmed that I could have two small cups, and that everything was fine according to my doctor. While he accepted that answer, he was still a little hurt that I couldn’t hold back from my coffee addiction for just this small time in my life. Our daughter’s arrival was similar to our son’s, however, she only came four weeks early. She spent four days in the NICU due to hypoglycemia, but she is now a thriving one-year-old. While I can’t say for certain what led to both of my children’s early arrivals, I can’t really blame it on coffee since I didn’t drink it at all with my son. Why all the fuss about coffee? In doing my own research on this topic, it seems that most OBGYN experts agree that one cup (or up to 200 mg) are fine when pregnant. The risk comes in the form of how much caffeine you can have. Now, I will say that many women who were pregnant years ago looked at me like I was crazy when I mentioned how much coffee I was ALLOWED to have in a day. “We didn’t watch that stuff and we were fine,” I would hear them say in disbelief. I get that argument, but there is a difference between ignorance and flat out negligence when you know the risks. In their era, they didn’t know any better. They didn’t restrict themselves because they weren’t advised to do so by medical professionals. While they claim, “everything was fine,” I am sure they would change their tune if they had been warned that their actions could hurt the baby. There isn’t anything substantial or highly studied in regards to coffee and its effects on pregnancy. Most professionals do believe that increased coffee intake can potentially lead to a miscarriage or low birth weight for your baby. If you push more than eight cups a day, that can even lead to the baby being stillborn. 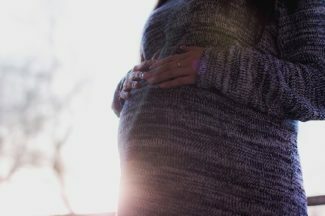 While there isn’t anything conclusive for these findings, it’s probably better to err on the side of caution than to disregard the hazards when pregnant with your baby. This is a topic that is close to my heart, because I love being a mom and I love my coffee. However, I wouldn’t risk my child’s well-being just to have an abundance of my favorite drink. While professionals haven’t found an exact correlation to caffeine and pregnancy issues, it’s always better to be safe rather sorry. Coming from someone who was pregnant themselves, the guilt you feel after pushing your limit is not worth it either. Just remember, it’s only nine months of withholding back from your beloved coffee. It may seem like an eternity, but no drink is ever worth the risk of potentially harming the well-being of your unborn baby. Besides, you will more than make up for it once you have to keep up with your kiddos on limited sleep.